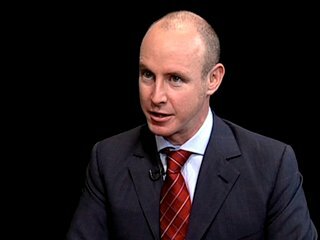 Daniel Hannan is a statesman and author whose speeches and writings I enjoy, and I recommend his latest book, Inventing Freedom, to anyone with a taste for liberty. It is rare that I find myself disagreeing with Hannan. His recent CapX column about the terrorist attacks in Paris (“Terrorism is a crime, not an act of holy war”) is one of those rarities, however. Better to treat Islamist terrorism as just another form of criminal behavior, Hannan contends, rather than accept the jihadists’ premise that they are waging a holy war. Before picking away at this contention, let me start where I am more comfortable: concurring with Daniel Hannan. He is absolutely right. Loath as I am to deploy historical analogies, I shall make an exception and draw a comparison between Islamic supremacism and another nasty ideology devoted to creating a hellish heaven on earth: communism. Back in 1917, there were plenty of reform-minded socialists, but they did not isolate and marginalize Lenin let alone persuade him to switch from bloodthirsty Bolshevik to moderate Menshevik. To the contrary, Lenin dubbed the compromisers “liquidators,” perhaps with an ironic little chuckle because promptly upon seizing power he set about liquidating them. Alexander Kerensky was lucky to escape with his life; millions were not. Similarly, Islamic supremacists are not likely to lay down their carving knives and Kalashnikovs at the behest of their victims-in-waiting, i.e. those Muslims who advocate religious toleration and pluralism. But after pointing out what will not work, Hannan goes on to ask, rhetorically, what will work. And as a first step, he prescribes mockery. No fair-minded person would deny that “Laughter is the Best Medicine” has proved successful as a feature in Reader’s Digest (its jokes have calmed my nerves in many a dentist’s waiting room) but as a strategic response to militant Islamic supremacism I fear it falls short. The folly of attending a gunfight equipped only with a knife is so apparent that we have a cliché on the subject, one that may soon require an update, e.g. don’t take a joke to a jihad, smirk at a salafist, or tackle a takfiri with tickles. We are, remember, participants in a conflict of arms and ideas that one side perceives as — and has repeatedly declared to be — a war. Treating the enemy as a bunch of bumbling buffoons may help bolster morale on the home front, but it does not rob the conflict of its status. Even if only one side defines it as such, a war is a war. Those of us in the legal profession, in particular, need to remember that while the law of contracts requires offer, acceptance, and consideration, warfare does not. For those lawyers who can see the world only through legal lenses, think of the current crisis a unilateral contract. Try to put concepts like mutuality and reciprocity in a mental box for a while. Because no matter how much we, along with former attorney and current President of the United States, Barack Obama, might wish that the tide of war was receding, it is not. Wishing, even out loud, will not transform a war into a law-and-order problem. Nor is combat subject to the same rules as Californian campus coitus, which requires ongoing consent. When the enemy is at war with us, we are at war with the enemy until we win or lose, whether we like it or not. Our Congress acknowledged this truth in September 2001, when it passed the Authorization for Use of Military Force (AUMF) as a “specific statutory authorization within the meaning of section 5(b) of the War Powers Resolution.” Since then, has the enemy surrendered? Far from it. They are waving the black flag, not the white one. But in his 2013 speech at the National Defense University, President Obama declared that “this war, like all wars, must end.” All wars end, true enough, but not according to some prearranged schedule. War is not a sport, so there are no rules about duration and no referee to blow the whistle at full-time. So although there has never been a Thirty Years’ Soccer Match, seventeenth-century Europe definitely experienced a Thirty Years’ War. That said, I feel like there may well have been at least one Thirty Years’ Cricket Match, and possibly a Hundred Years’ Baseball Game. At the National Defense University, the President said that the time had come to revise the AUMF that Congress passed in 2001. Why? Because with al Qaeda, or at least the “core” thereof, “on the path to defeat,” and today’s terrorists “less capable” than the Osama bin Laden crew, “the scale of this threat closely resembles the types of attacks we faced before 9/11.” Perhaps that is true. But after “the type of attacks we faced before 9/11” came 9/11. And it was the policy of putting self-declared enemies of the United States in the same category as common criminals that helped make 9/11 possible. Writing three years after the attacks, the authors of the 9/11 Report stated at p. 343, “It is hard now to capture the conventional wisdom before 9/11.” Not any longer, it seems. The President’s candid return to a September 10th mindset is one we shall all come to rue, here in the United States, the wider Anglosphere, and across the free world. So, with all due respect to Daniel Hannan, while I am all in favor of kicking back for a good laugh at the Best Terrorist Fails, we are still at war. Making fun of the enemy is certainly cathartic but, as the brave souls at Charlie Hebdo learned, it won’t stop them trying to kill us. The Twitter hashtag #JeSuisCharlie has broken the record for use as a news hashtag. But that doesn’t stop terrorists. French police SWAT teams had the right idea.